When will be Scotland and the Battle for Britain next episode air date? Is Scotland and the Battle for Britain renewed or cancelled? Where to countdown Scotland and the Battle for Britain air dates? Is Scotland and the Battle for Britain worth watching? 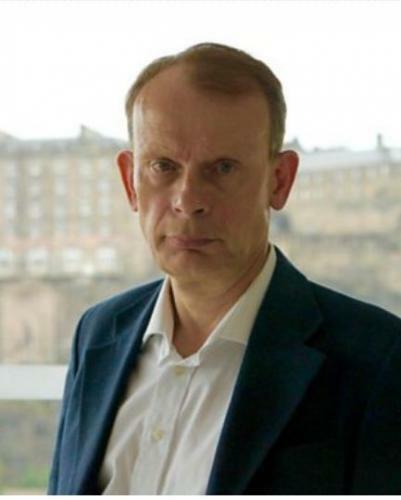 Scotsman, broadcaster and former BBC Political Editor Andrew Marr presents this two-part documentary which explores Scotland's political transformation during the historic events of the last few years. The programmes look at the impact of the Scottish Referendum, the success of the SNP in last year's General Election and what the Brexit vote means for the future of Scotland.The documentary will feature interviews with top names in Scottish and British politics, past and present, including the current leader of the SNP, Nicola Sturgeon, former SNP leader Alex Salmond, former Prime Minister Tony Blair, former Labour MP Brian Wilson, Alistair Darling MP and Baroness Helen Liddell.The programme also contains interviews with academics Professor John Curtice and Sir Tom Devine. The two, hour long programmes will bring viewers a fascinating insight into these significant political events and what they mean for Scotland today and in the future with Andrew exploring the likelihood of a second independence referendum. Andrew Marr discovers why the Scotland he was born in has changed so much politically. Scotland today feels very different to the country Andrew experienced growing up. It has become more left wing, less British and much more fiercely Scottish Nationalist. The SNP has been in power for nearly a decade and now, post the Brexit vote, there is talk of a second independence referendum. Andrew Marr discovers why the Scotland he was born in has changed so much politically. Andrew looks back at the historic Scottish Independence Referendum of 2014. Why did support for pro-independence Yes Scotland rise from 28% to 45%? How did unionist Better Together eventually persuade a majority to vote no? Now Andrew discovers how the independence referendum has transformed Scottish politics. In the EU referendum in June 2016, every single local authority area in Scotland voted to remain. Politics in Scotland is moving apart from Britain - but this doesn't make the result of a second independence referendum a foregone conclusion. There are a number of political and economic problems that the SNP must seek to resolve. Andrew examines the options now facing Nicola Sturgeon and the SNP. The Nationalists have risen from outsiders to become the new Scottish status quo. How will they will they negotiate the opportunity now given to them by the Brexit vote? Scotland and the Battle for Britain next episode air date provides TVMaze for you. EpisoDate.com is your TV show guide to Countdown Scotland and the Battle for Britain Episode Air Dates and to stay in touch with Scotland and the Battle for Britain next episode Air Date and your others favorite TV Shows. Add the shows you like to a "Watchlist" and let the site take it from there.